Amid all discussions, criticisms, the Bangladesh government and Myanmar have signed the text of the Physical Arrangement last week stipulating that the Rohingya return would be completed “preferably within two years from the commencement of repatriation”. In the meeting it is decided that Bangladesh will send back 1,500 Rohingyas every week excluding Saturday and Sunday. For this Bangladesh will establish five transit camps from which returnees would be received initially in two reception centers on the Myanmar side. It is really a praiseworthy initiative that both the countries have taken that the Rohingyas will get back to their own state. But in reality how far it will be feasible? The people have seen the utmost brutality that they could ever forget in their life. Could these more than a million people forget all the atrocities that had gone through and fled from their precursor’s land? Already , Rohingya Organizations from across the world have shown their concern about the security of these people and demanded guarantee of their life and proper security and peaceful coexistence with rest of the population in Myanmar before they are repatriated. 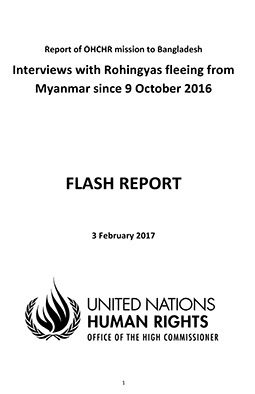 In a joint statement they said that there is no change of attitude of the Myanmar government and its military towards Rohingya; still they identify Rohingyas as recent “Bengali interlopers” from Bangladesh what express their doubt in this initiative.It is true that Refugees are homesick, but they are unwilling to return if not congenial atmosphere has not been created for these huge number of people by Myanmar Government considering their safety, dignity and honor. There is also a matter of concern that whether the refugees could be settled in their homes. It would be really worst for those simply moving the refugees from camps in Bangladesh to dislodgement sites in Myanmar as the regime has already claimed state-ownership of Rohingyas’ land within the affected region of Northern Rakhine state. However, in the meeting Bangladesh has cleared its position that Rohingya repatriation will be “voluntary, dignified and safe” and finalized the “form” for verification. Modalities for repatriation of orphans and children born out of unwarranted incidents have been incorporated in the deal. The state minister for foreign affairs said that Bangladesh government will not risk its reputation by forcing Rohingyas back to Myanmar. From the beginning of the discussion with Myanmar and signing of the first deal on Nov 23, Bangladesh government emphasized on voluntary, dignified and safe manner of the Rohingya repatriation. 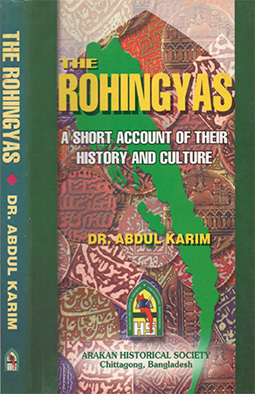 For a single blink, we believe his words and think what the situation can be if the Rohingyas do not want to go back to Myanmar as they are victim of ethnic cleansing or genocide claimed by US and United Nations and others Rights body. Can Bangladesh government give these huge numbers of people shelter, food, medicare, education and safety for children for long run? Already, many reports published in media reported their vulnerable condition regarding shelter, safety, health and water. At report by Unicef said that Rohingya children face a perilous health threat as they are living in overcrowded and unsanitary makeshift settlements. As a result, 12,000 Rohingya children living in the camp are putting them into danger of cholera and malnutrition every week. According to the agreement, the entire repatriation process will take 2 years. In this long period, it is really a matter of concern for these hundreds of thousands of people especially the children who are living in a camp simply made with tarpaulin and bamboo. The rain, cold and storm will make their life miserable and cause health hazards. Will the government have any plan to house the refugees or keep them in confinement in camps or should they be allowed to disperse in the country? On the other hand, the camps were made in the reserved area of the forest land where the wild elephant moves. Already 7 Rohingya including 3 children and 1 woman have been trampled to death by an elephant in the camp since October 2017 to till now. Therefore, we need to think of some solutions to deal with this additional population in our country for this people. This is indeed a highly complex problem with humanitarian, political, law and order, security, development and environmental concerns, all of which need to be considered. A levelheaded assessment can tell that whether we will be successful to send these huge numbers of people back to Myanmar in this hopeful diplomatic scenario. 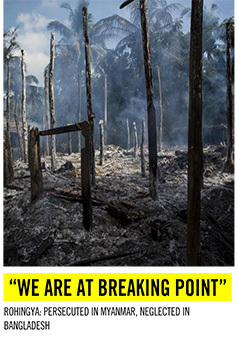 For this the most important thing is UNHCR’s involvement in repatriation process in Myanmar. But, quite tactfully Myanmar government is not allowing any international organizations to work in Rakhine state. Besides, UNHCR also expressed their willingness to work with Bangladesh and Myanmar to ensure international standards in repatriation. But, it is still not sure whether they can be a part of this process. However, the State Minister of Foreign Affairs in Bangladesh said that they will involve UNHCR based on the ground reality when they are needed after analyzing the situation.